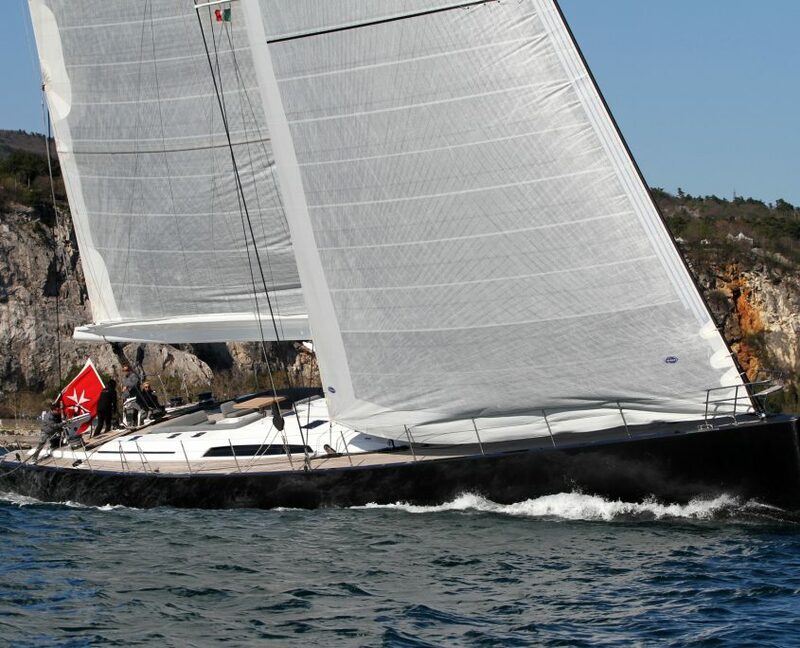 Mrs Seven by Southern Wind Shipyard, 30 m.
The appropriately named “Seven” is the seventh hull in the Southern Wind 100 mini-series and the first in the series with a Raised Saloon. 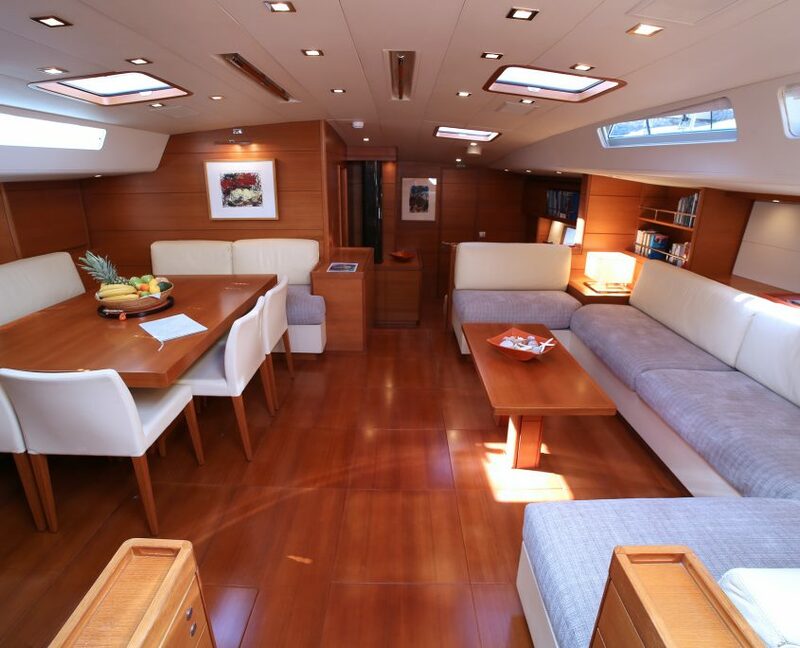 She features a sporty, sleek coach roof and an open transom. 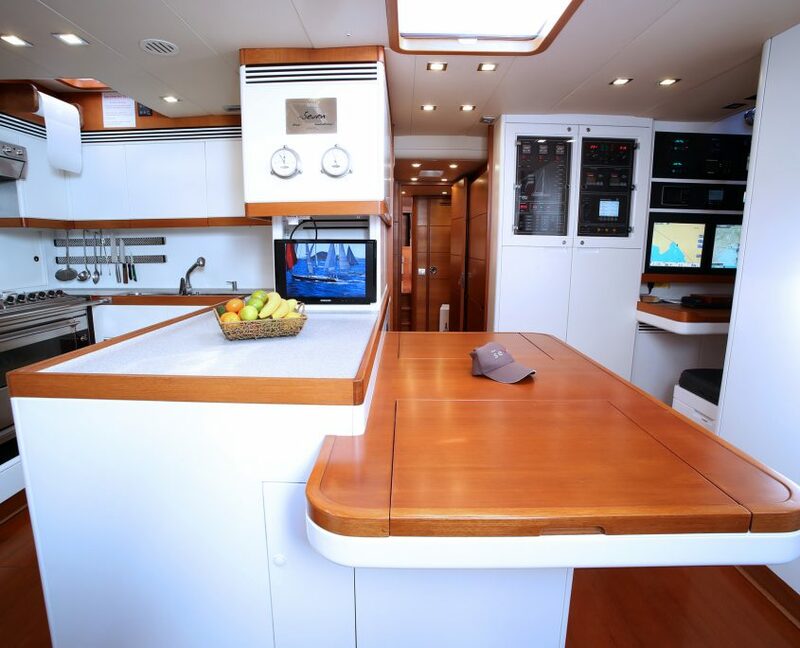 This blue water cruiser is the ideal choice for both family and luxury charter use. 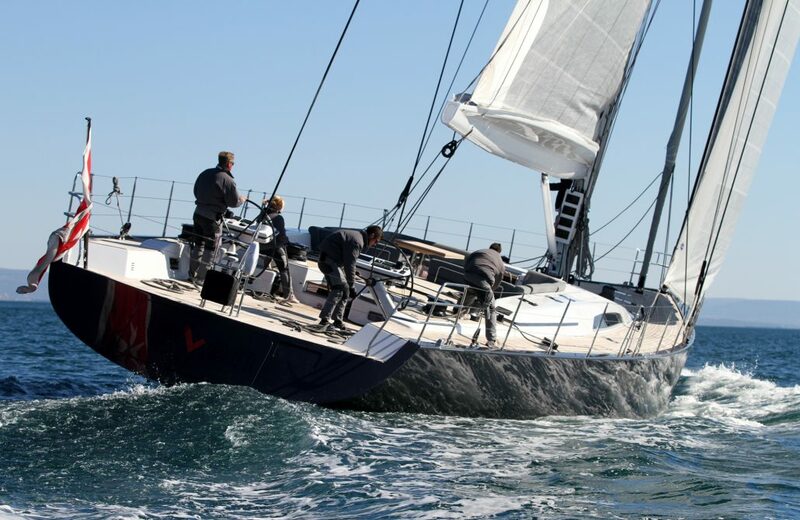 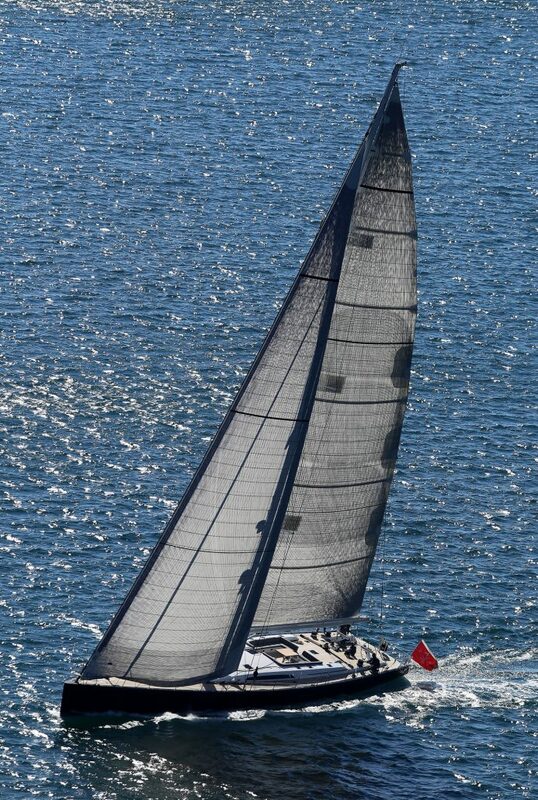 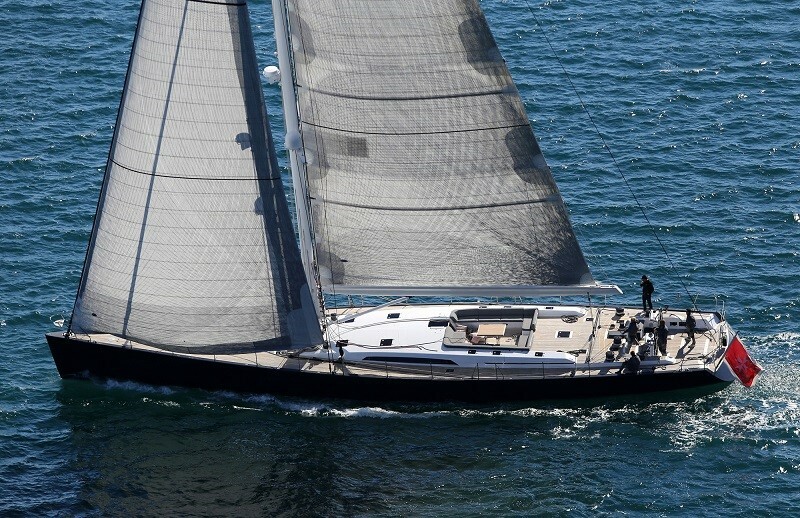 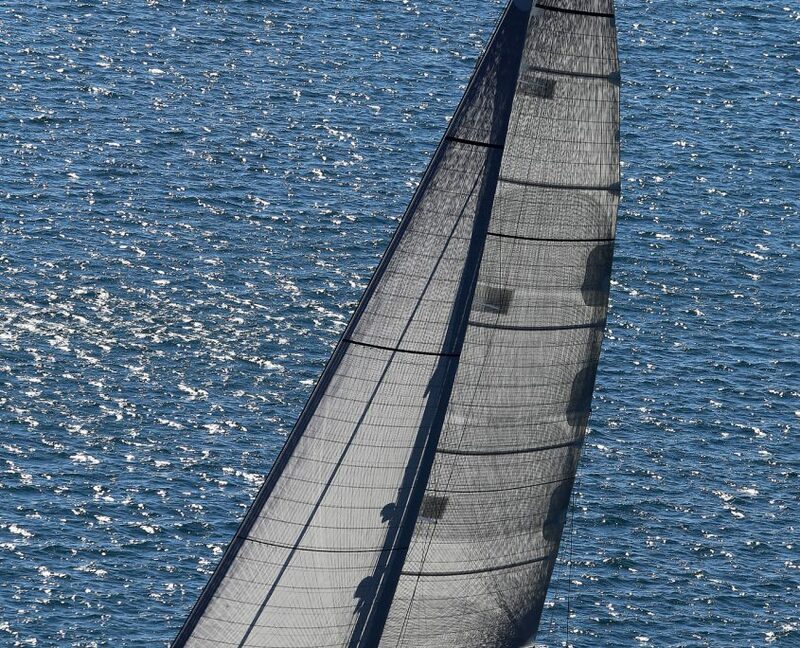 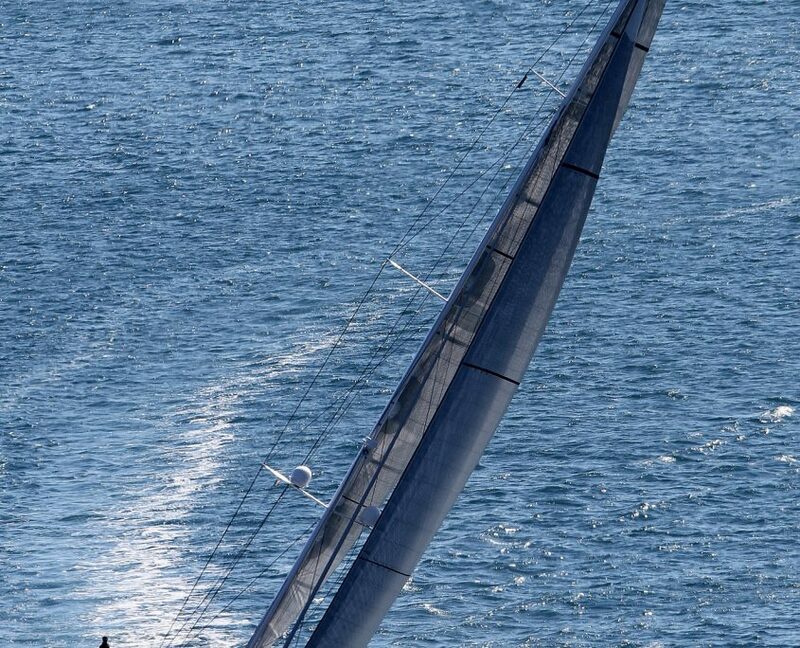 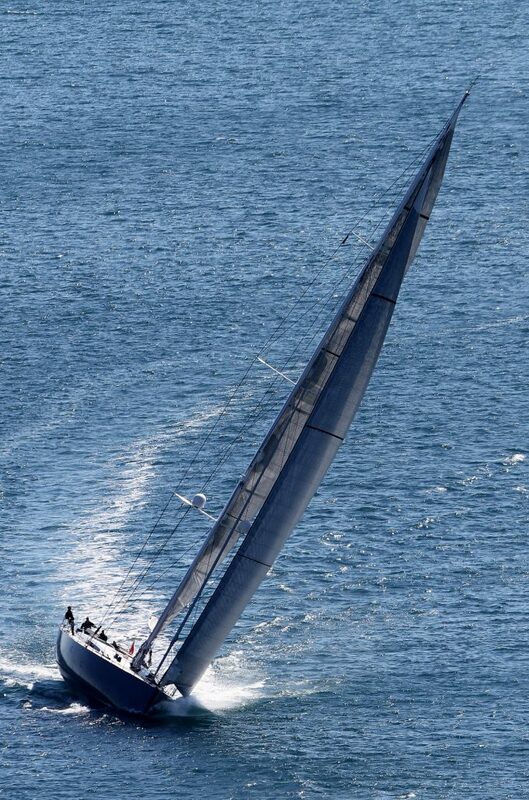 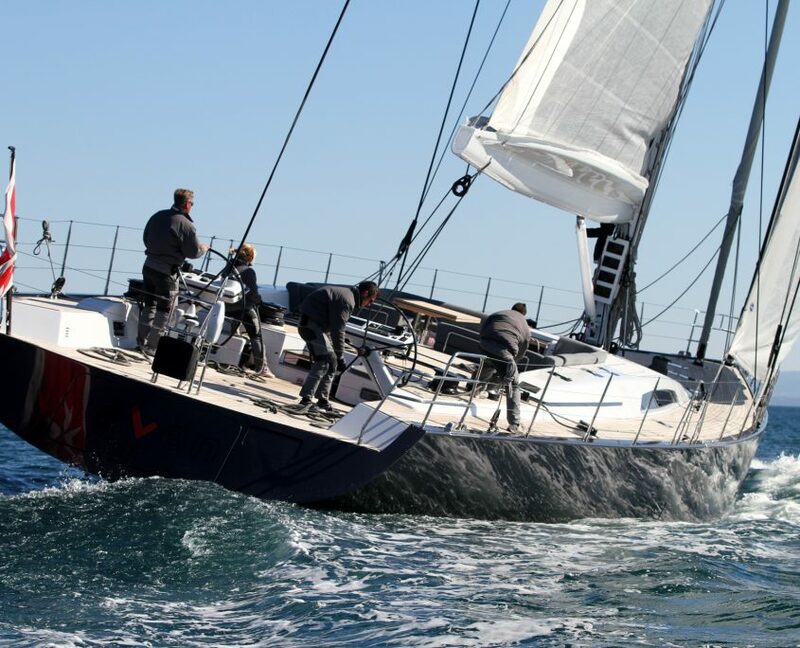 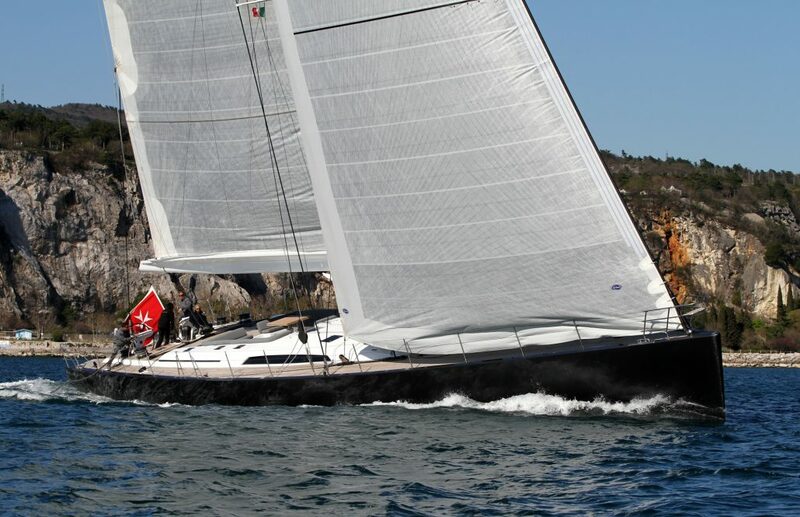 Her medium to light displacement means exciting sailing even in light Med breezes. 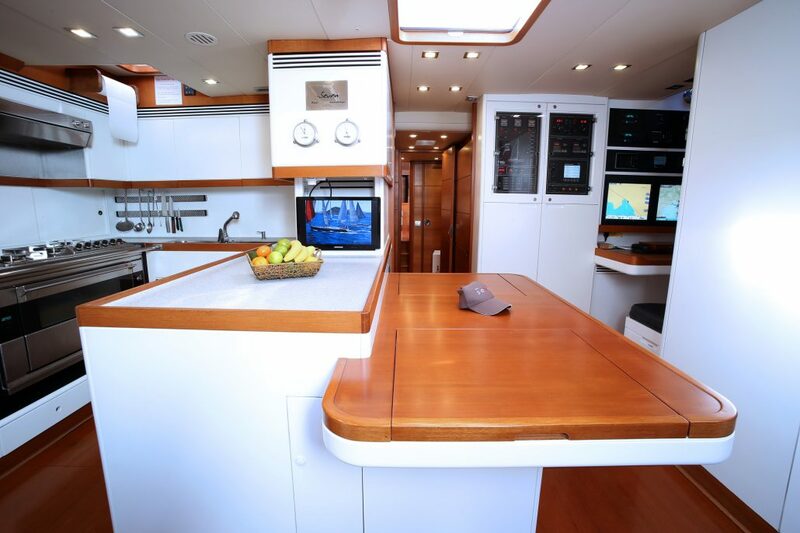 The aft swimming platform gives easy access to the water and features a shower and handy storage for snorkeling gear. 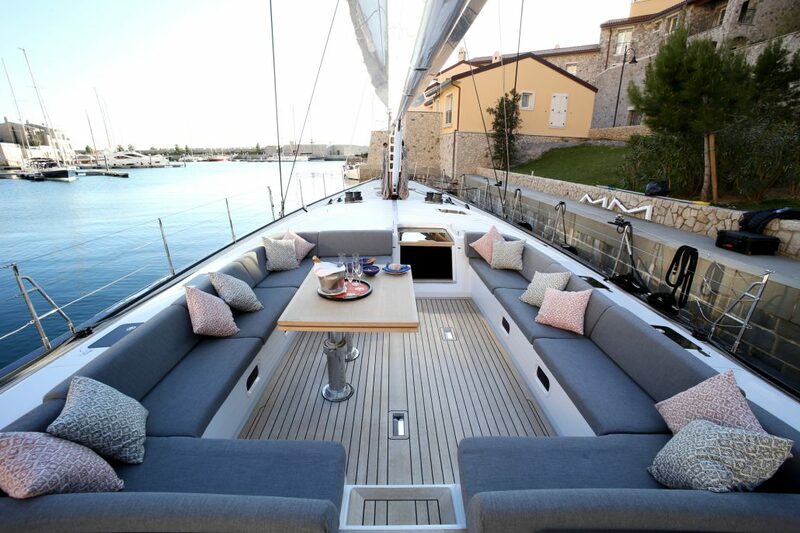 Seven’s interior styling reflects her sporty soul: light colored upholstery fabrics contrast with horizontally grained teak furniture to create a warm atmosphere. 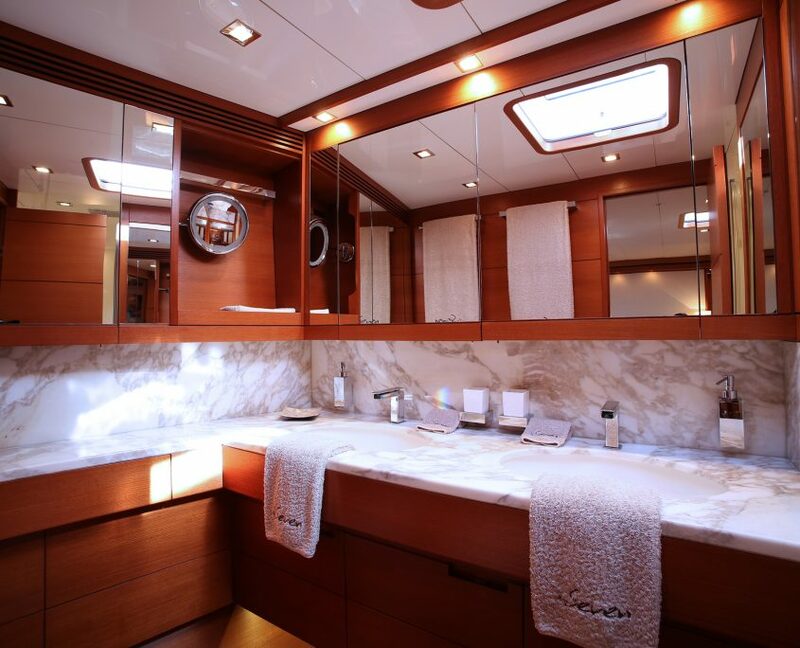 All guest bathrooms are fitted with marble countertops and details. 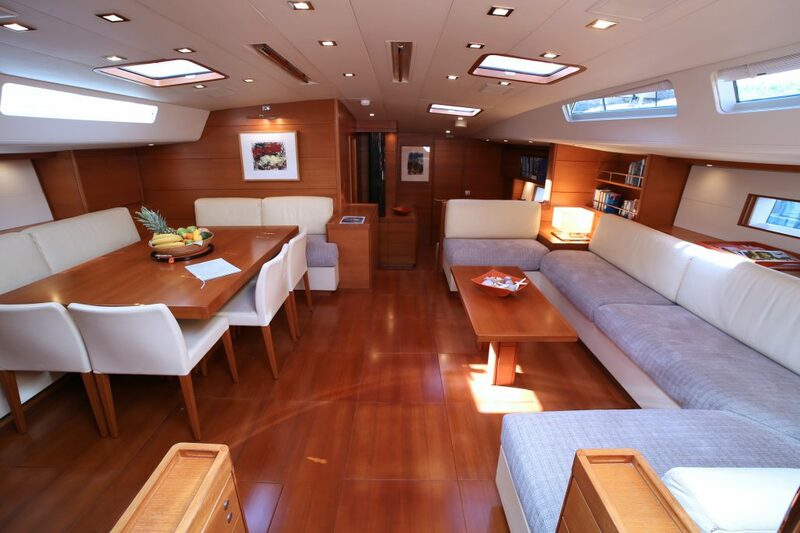 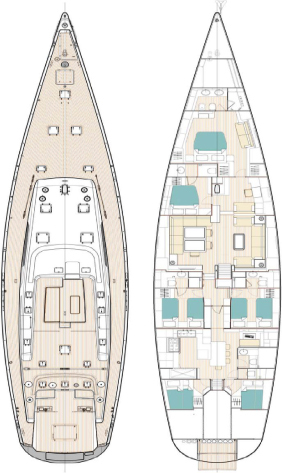 The interior layout features a clear separation between crew and guest areas for maximum privacy. 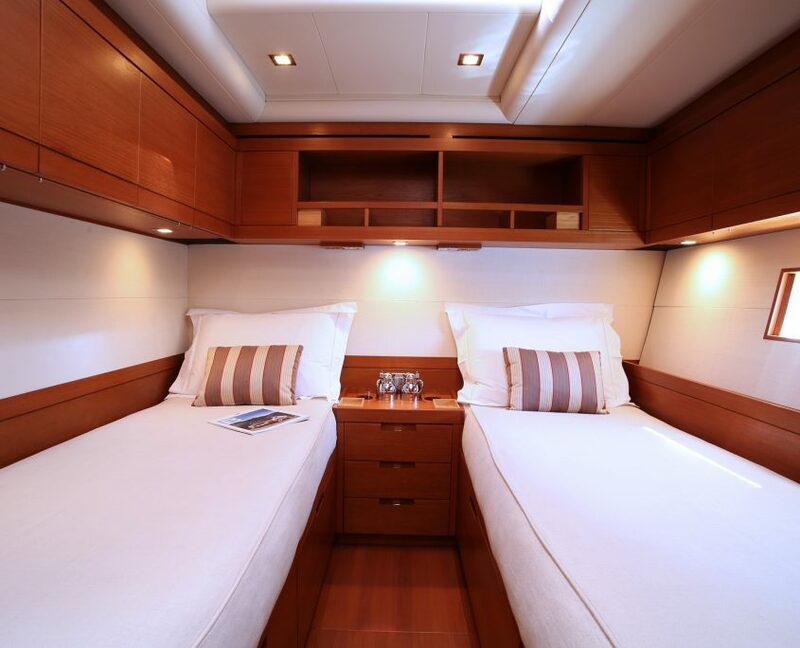 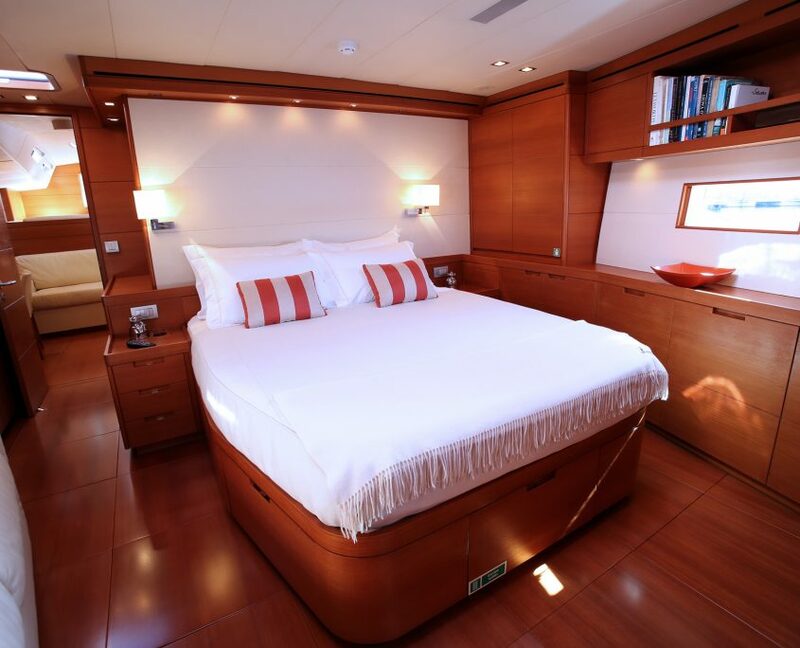 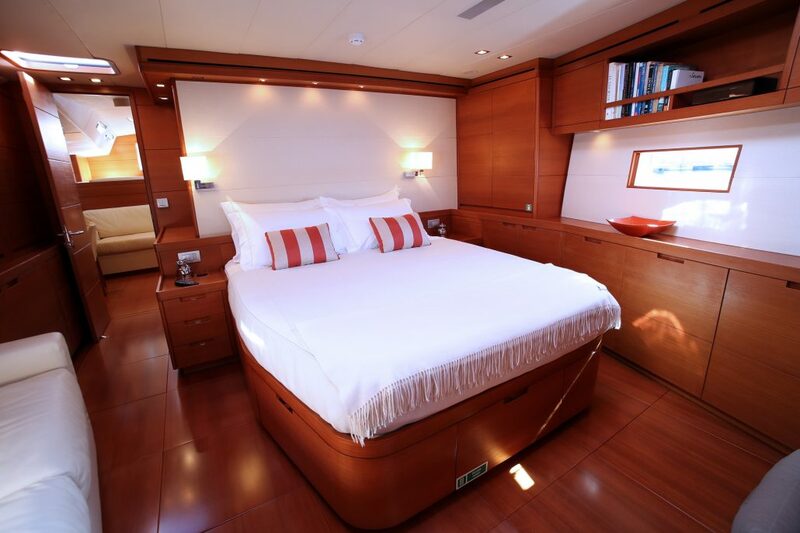 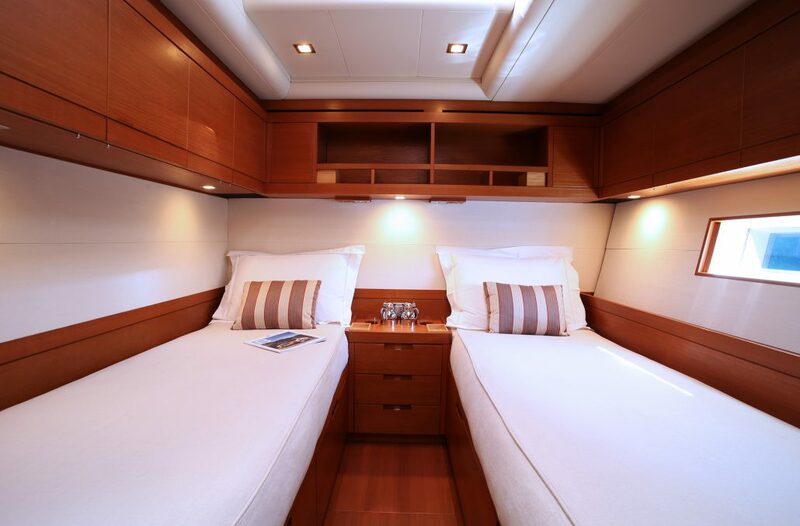 Guest accommodation includes two en suite twin cabins and a double VIP cabin further forward. 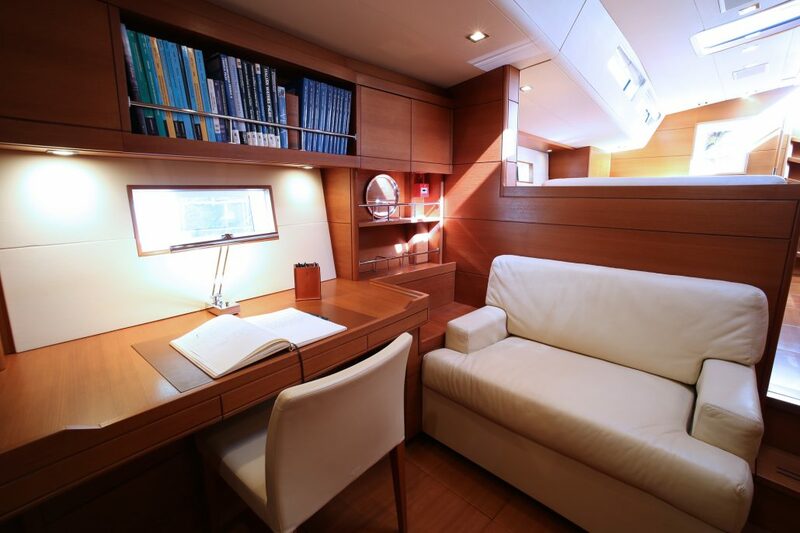 The owner’s suite is forward of the mast and is accessible through the study. 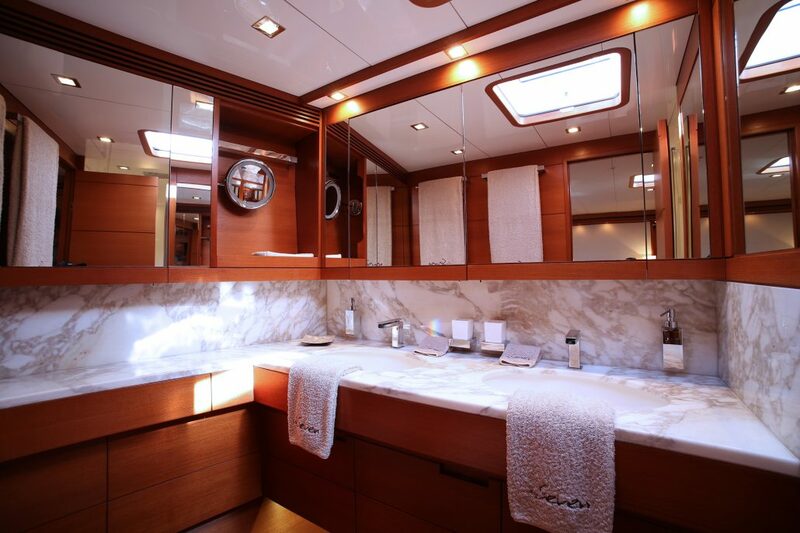 It includes a vanity desk and a spacious en suite bathroom with shower box. 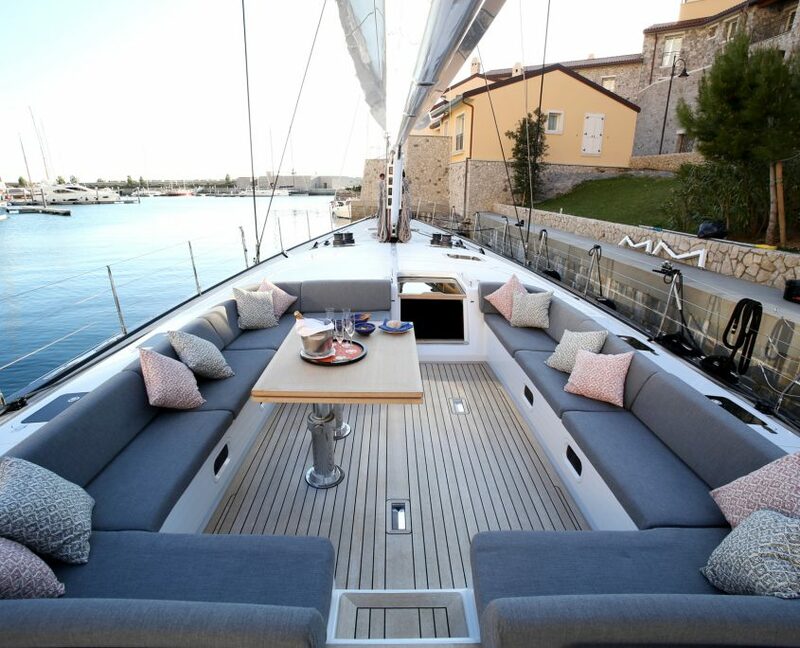 Seven has a generously proportioned, full beam saloon, a large open space where eight to ten people can relax and converse in comfort on couches and as many again can sit at the dining table. 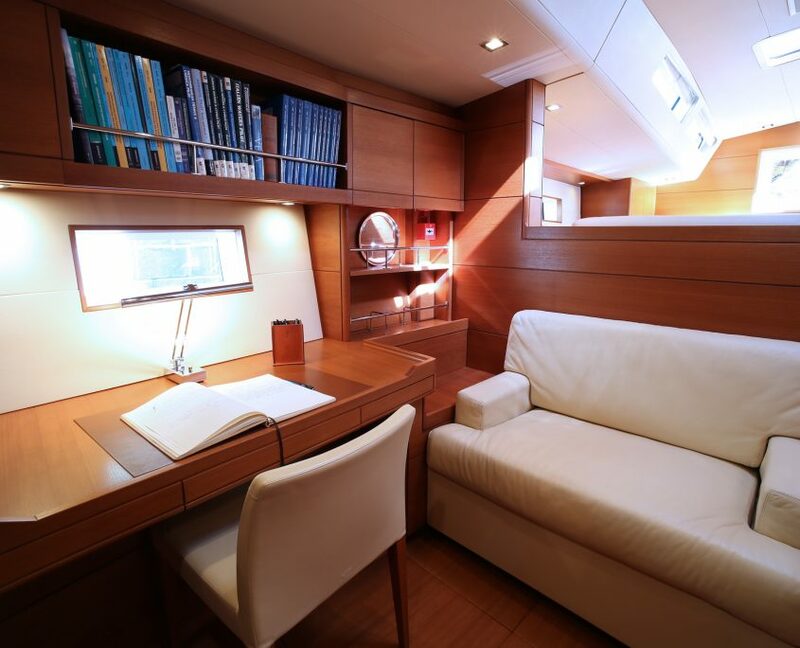 The crew area aft includes two cabins and a spacious galley; it has a dedicated companionway to the maneuvering cockpit to ensure the privacy of owners and their guests.